Al Kimma Prestige – L’une des enseignes les plus fiables en matière de location de véhicules de luxe et de déplacement avec chauffeur. 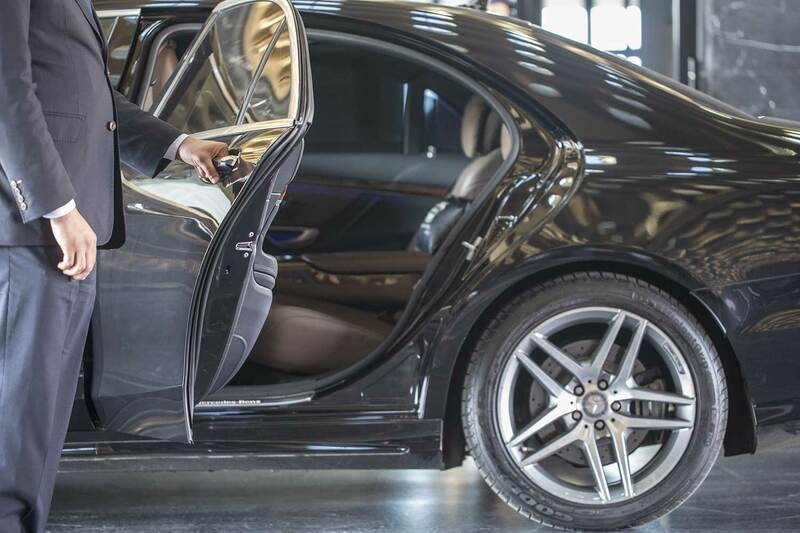 AL KIMMA PRESTIGE is one of the most trusted name when it comes to luxury vehicle rentals and services with chauffeur. Our company has serviced most of the biggest events in Morocco, including government conferences and meetings, sporting events and multi-national gatherings. Providing a mix of services, AL KIMMA PRESTIGE is called to fulfill mobility requirements at anytime. We provide the most exclusive vehicles for the most discerning of tastes. Our company distinguishes itself from the rest by continually providing excellent service with a luxurious experience. Whether for public events such as seminars, trade fairs and exhibitions, or for private events, such as weddings, receptions and parties, our teams will be able to answer all your needs. AL KIMMA PRESTIGE offers a wide range of vehicles including city cars, minibuses, sports cars, luxury cars and minivans, with or without drivers for the duration that suits you. Late transfer to or from the airport? Wedding party? reception of VIP? Trip to the sahara? pets? Whatever your request, do not hesitate to share it, we surely have the answer you need. Every year, we are the official transport company for the biggest events organized in Morocco. Are you in need of a car on a daily, weekly or monthly basis? Then, our Car rental service is here to make sure that your needs are met with the best service & best offer. Our fleet is composed of brand new and perfectly maintained cars of prestigious brands. A team of corporate professionals who are competent in every aspect will dedicate their efforts to ensure your total satisfaction. Whether you need a city car for few days, or a 4×4 vehicle for several months, you will find answer to your request at AL KIMMA PRESTIGE. With services available round the clock, all that the customers need to do is just drive comfortably. Over the years, AL KIMMA PRESTIGE has established itself as a solid reference in the field of luxury transportation. We have developed a network of partners to offer our clients more complete services during their stay in Morocco. The biggest national and international companies are calling for our services given the professionalism of our drivers, the diversity of our vehicles and the quality of our management teams. The most prestigious hotels rely on our teams to meet the needs of their clients in terms of mobility, access and discretion. Copyrights Al Kimma Prestige. All Rights Reserved.